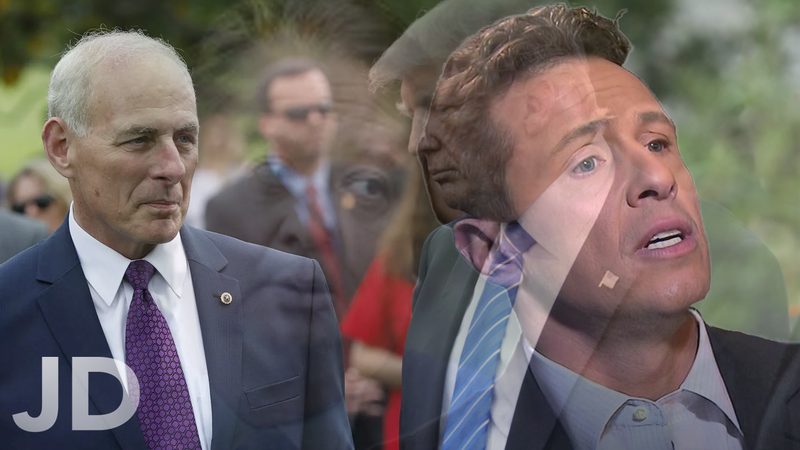 TJDP 51 - John Kelly is going, George Conway is trolling, and Chris Cuomo is fighting! 51 – John Kelly is going, George Conway is trolling, and Chris Cuomo is fighting! 51 – John Kelly is going, George Conway is trolling, and Cuomo is fighting! John Kelly is going as confirmed by President Donald Trump earlier today. It was unclear as to whether or not he was “asked to leave” or he made the decision himself. Mr. Trump praised him in is farewell announcement saying that he “appreciates his service” and has done a great job. Listen to this episode to find out who my prediction is to replace him; he’s interesting! George Conway is trolling as evidenced by his recent tweet targeting Donald Trump. If you didn’t know, Mr. Conway is Kellyanne Conway’s husband who practices law. In the episode I talk more about who he is and how their family got into politics. Chris Cumo is fighting with Don lemon; or at least he was… Last night, they got into an argument about respecting the office of the presidency or the person in it. It seemed to get pretty heated, but they’re still friends. They do this a lot. It was just funny. Listen to hear my favorite part. Media hosted on Genisys. Learn more. NextNext post: 52 – Genisys is coming in ONE week!